Prior to joining Summit, Alex was a representative for The Equitable for over twenty years. There he was inducted into Equitable’s Hall of Fame, became a Life Member of the Million Dollar Round Table, and served on the Executive Committee of Equitable’s National Agent Forum. After graduating from Vanderbilt University with a Bachelor of Arts degree, Alex continued his studies earning a Chartered Life Underwriter (CLU) designation. He completed coursework at the University of Memphis in accounting and took graduate level courses in both Defined Benefit Retirement Plans and Accounting and Business Valuation through the American College. Alex earned the Chartered Financial Consultant (ChFC) designation from the American College. Alex has been an elder at Second Presbyterian Church for many years. He was also a long-term Board Member of both Presbyterian Day School, where he served as Chairman on two different occasions, and Memphis University School, where he was Chairman of the Endowment Committee. He also serves on the professional advisory group of the Jewish Foundation of Memphis. 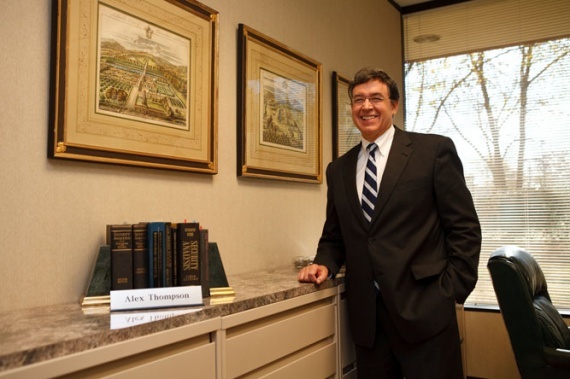 Alex is a member of the Memphis Estate Planning Council, The Economic Club of Memphis and the Society of Financial Service Professionals.